Will the battle between Samsung and Apple ever end? Probably not. The latest iPhone lineup was announced on Wednesday this week and we got a peek at what the iPhone Xs has to offer. So, how does it measure up to the Galaxy S9? Let’s take a quick look at the rundown. It’s not all about looks, but that’s where we’re going to start. In the flagship beauty contest, which phone wears the sash and crown? The iPhone Xs has an almost bezeless (all-screen) look with a dynamic stainless steel finish. The all-screen look is just what people want these days and Apple has certainly delivered. However, there is the small notch at the top of the screen. There are rounded edges at the sides of the device too and it comes in Silver, Gold, and Space Grey. While the Samsung Galaxy S9 also has a metal finish, this time it’s an aluminium frame. 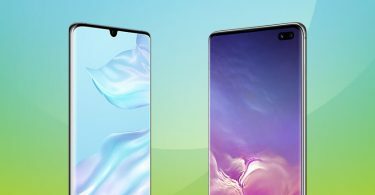 The device truly has a full-screen display and there’s no pesky notch to get in your way, which will be a bonus for many people. The phone offers curves to make it comfortably sit in your hand while you’re using it. The device comes in more colour options with Midnight Black, Coral Blue, and Lilac Purple. Apple has rolled out the same Super Retina OLED Display that we saw on last year’s iPhone X for its iPhone Xs model. Boosting the picture vibrancy, clarity, and making it look generally fantastic, it’s plain to see why this is a display that turns so many heads. The device also boasts a nice 5.8-inch screen, which works perfectly with the minimal design. Of course, the Galaxy S9 also has a 5.8-inch screen so there’s no difference there. The phone has an OLED Display along with QHD+ resolution. It’s also prepped for HDR when watching videos, on the likes of Netflix, Amazon Prime, and YouTube. So, what can each phone actually do? The latest version of the iPhone has stuck with Face ID when it comes to security, but you also touch the screen rather than a home button. The former is supposedly faster than before. 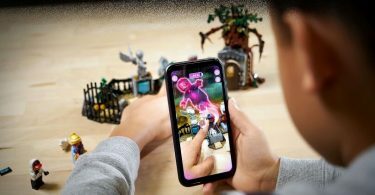 AR gaming has seen some serious improvements too, with multiplayer options and cool new apps promised soon. Then, there will be the standard Apple perks – Animoji, Siri, Apple Pay etc. The Samsung Galaxy S9 has DeX, which means that you can turn your device into a desktop. It also boasts a new and improved Bixby, which is smarter than before and has neat features like ‘Bixby Food’ calorie counter. Oh, and there’s AR Emoji and Facial Recognition, features that are similar to the iPhone offering. 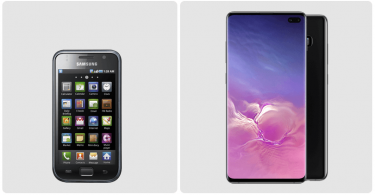 By now, we all know what to expect from Apple and Samsung – high-end and super cool features. We get it! Spoiler: The Samsung Galaxy S9 still has a headphone jack and the iPhone Xs, unsurprisingly does not. No changes there then. These days, battery power is a huge selling point. We want our smartphones to last all day long, no matter what we’re doing with them. The Samsung Galaxy S9 offers a decent-sized battery at 3000 mAh. It should be good enough to keep you juiced up for the best part of the day. Right now, there is no word on what size the iPhone Xs battery is, but Apple claims that it will have 14 hours of video playback. Needless to say, both of the devices have super quick chipsets. 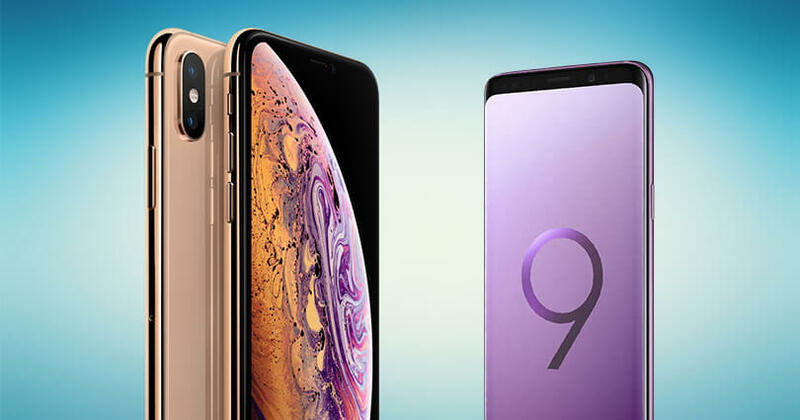 The Galaxy S9 sports the Exynos 9810 processor, while the iPhone Xs has the A12 Bionic chip. Apparently, Apple’s upgrade means that the phone will be a whopping 50% more energy efficient. That’s quite the claim. The Samsung has 4GB RAM, but we’re still waiting to hear what the iPhone will offer (Some rumours suggest that it’s also 4GB, but that’s yet to be confirmed by Apple). The iPhone Xs camera is a pretty impressive offering. With a dual-lens 12-megapixel rear setup and a 7-megapixel selfie camera, it’s safe to say that you’ll be able to take some awesome pictures using this one. The device also has something called Smart HDR mode which fuses images together to create the clearest, most stunning picture. Of course, the selfie camera uses the True Depth technology that makes Face ID possible. Then, there’s the Samsung Galaxy S9 camera – we’ve got a single 12-megapixel lens on the rear of the device, which is slightly lower spec than the iPhone Xs camera. But then, there’s the 8-megapixel selfie lens on the front, which is slightly higher spec than the iPhone Xs camera. There’s not all that much in it. However, the Samsung does have the advantage of having superb low-light shooting, which should not be ignored. Now, let’s talk about the nitty, gritty details. 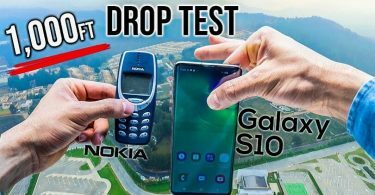 How much do these two phones cost? The iPhone Xs starts at £999 (but you will pay more if you want more storage). It’s not out yet, but you only have to wait a week if you want to get your hands on it. The phone will hit stores as of the 21st September. Pop that date in your diary. Of course, the Samsung Galaxy S9 is already out. It costs £869 and you can boost the storage on it with the help of a microSD card. That is something that you simply can’t do with any modern iPhone model. Sigh! When it comes down to price, the Galaxy S9 is by far the most cost effective option out of the two. The iPhone Xs has a stunning design, even with the notch, and looks like the phone of the 21st Century. It’s also got new AR capabilities to keep gamers happy, that remarkable Super Retina Display, and a camera that will knock your socks off. However, it costs a little more than the Samsung, so you need more pennies to buy it. The choice is yours!